Slip and fall accidents can occur without the owner of the premises being at fault. A fall may happen when a person is walking across a parking lot after a sudden thaw and re-freeze before anyone could reasonably take actions to clear the ice. However, in many slip and fall cases, there was someone with control over the risk who could have taken actions to prevent the accident and resulting injury and did not do so, whether the result of negligent or reckless actions. 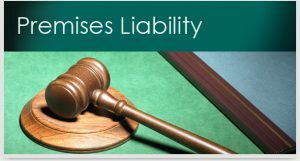 Liability of homeowners. – It is the responsibility of the homeowner to maintain the residence and surrounding property in a safe manner. When visitors are injured because the homeowner breached his duty, he is liable for the resulting harm. This often leads to a lot of internal conflict for individuals who were harmed while in the home of a friend or family member. However, the long-term harm from a slip or trip and fall can be devastating and it is critical to get the compensation necessary to pay for ongoing medical care, replace lost wages, and address pain and suffering. In many cases, the homeowner’s insurance will pay the claim. If you or someone you know has been injured in a slip and fall accident, a consultation should be arranged with an experienced Wyoming personal injury attorney at Arnold Law Offices for three reasons. First, physical evidence is lost, destroyed or changes with time. Second, witnesses leave the state and their recollections fade with time. Third, the Wyoming Statute of Limitations will, at some point, take effect and prevent the filing of a lawsuit. The Statue of Limitations is often four years, but it can be as short as two years in some cases. Moving forward with your case at an early time means that you receive a monetary recovery that sooner to help you pay bills and enjoy a quality of living as close as possible to the one experienced before the accident. If you have been injured in a slip and fall, or another type of accident, contact the Wyoming Personal Injury Law Firm of Arnold Law Offices, PLLC, to schedule an initial consultation. Arnold Law Offices serves all of Wyoming, including Uinta, Sweetwater, Lincoln, Carbon, Teton, Fremont, Natrona and Laramie Counties. Call (888) 760-4357 or (307) 789-7887 to make an appointment.